Hera is my fourth Brittany. She turned two years old earlier this month. I am reminded as this current hunting season progresses that you cannot expect too much too soon with a young gun dog in training. 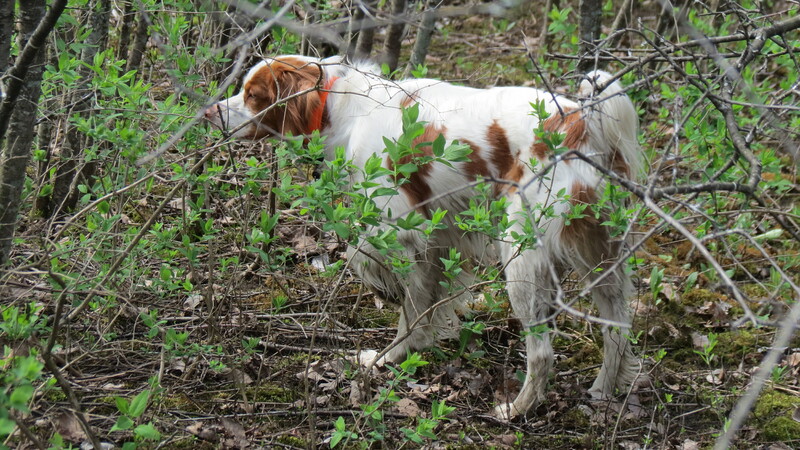 Hera was my little prodigy in her first season; she pointed and retrieved ruffed grouse and woodcock for me as a one year old puppy. None of the three dogs before her were doing this at her age. I was so impressed and happy, I expected more of the same in this season. However, for whatever reason, Hera is finding and pointing birds, mostly woodcock, locking up on point, then breaking point and pouncing as I make my way to walk up her point. She pounces when I am several yards from her and the bird. This ensures the bird flushes without the chance for a shot, which defeats the purpose of Hera and I out hunting together. She does not understand she is hunting for me. The past three days, in the latter part of the woodcock season–migrating woodcock are generally found in this part of eastern Ontario through October–we are getting into birds, only to have this frustrating pattern of point, break point and flush, play itself out again and again. This is so frustrating. What am I to do about this situation? How can I remedy it? 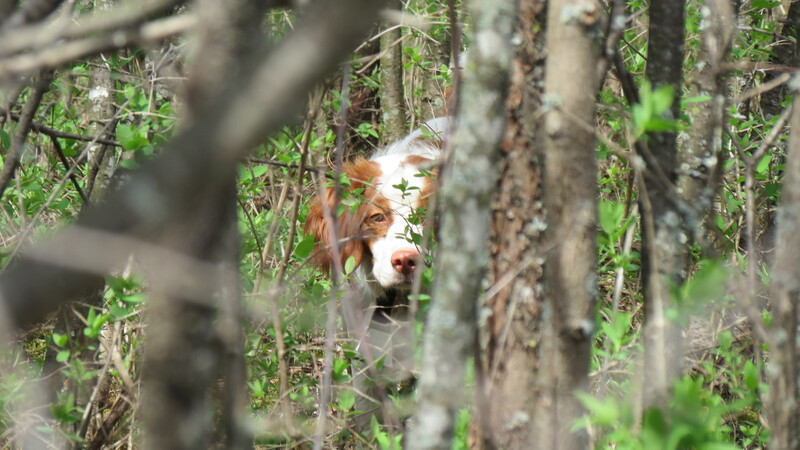 I am going to schedule training sessions for Hera and myself at a pheasant hunting preserve I used with the previous dogs in their training. It is Banin Upland Game Farm, about an hour’s drive from where I live. 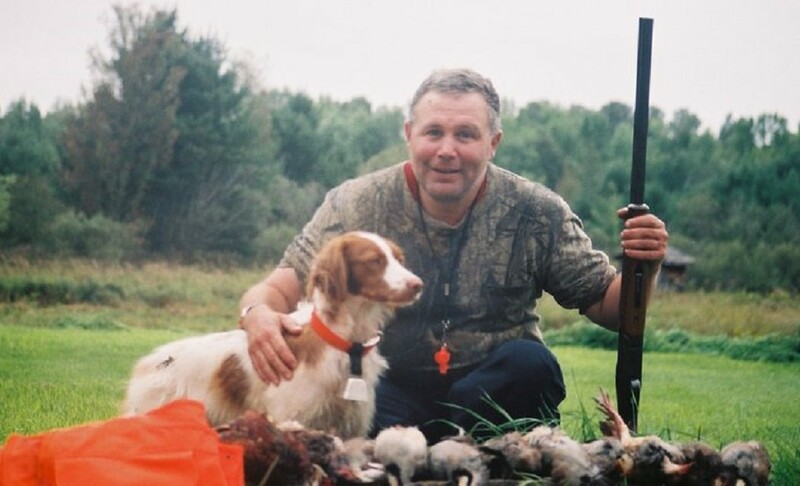 The owners of the preserve took a hiatus from their upland game bird hunting enterprise a couple of years ago, but are happily back in business in the present. I will spend some time with Hera, working her on a check cord with pigeons to get her to remain staunch on point. This entry was posted in Brittany (dog), Dog training, Gun dogs, Hera, Hunting dogs, Pointing dogs, Ruffed grouse hunting, Small game hunting, Upland bird hunting, Woodcock hunting and tagged autumn migration, Banin Upland Game Farm, Brittany Hera, gun dog training, Hera, Hunting dog, hunting season, hunting seasons, Marlborough Forest, pointer, pointing dog, Ruffed grouse, small game hunting, training, Woodcock, woodcock hunting on October 19, 2014 by geoffreyandmika. You look after your dog and I’ll look after mine.